In September 1911 the land for the Applecross wireless station site was purchased by the federal Government, and construction of the wireless station commenced. Once commissioned, the facility provided important all-weather radio communications with the outside world. The wireless station was the Western Australian component of a network of five main radio communication stations across Australia that participated in international, national, state-wide and regional radio communications and broadcasting. It is important to note that of the original wireless stations across Australia, only the Applecross wireless station still remains in its original form. 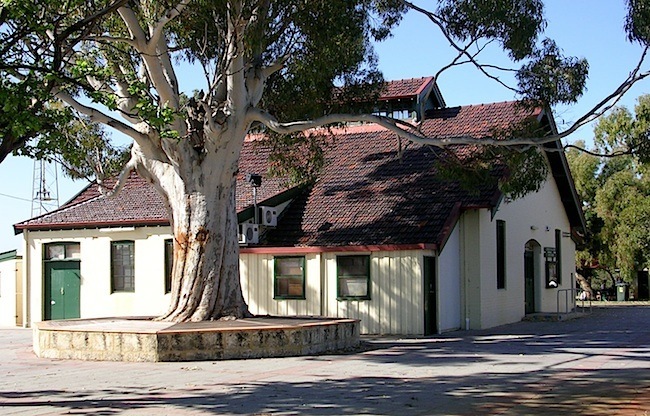 The station was used continuously between 1912 and 1967 as the main coastal radio communication centre for the State. In 1926 it became a feeder station for international radiograms and from 1943 it was used as an alternative station for international short-wave radio messages. It also played a significant part in the First World War and the Second World War, providing vital military communications. People who played a role in transfering ownership of the Applecross Wireless Station from the federal government to the state included the premier of Western Australia Sir David Brand (1912 – 1979) who was WA Premier from 2 April 1959 till 3 March 1971, and the prime minister Harold Holt (1908 – 1967) who was Prime Minister from 26 January 1966 till 17 December 1967. 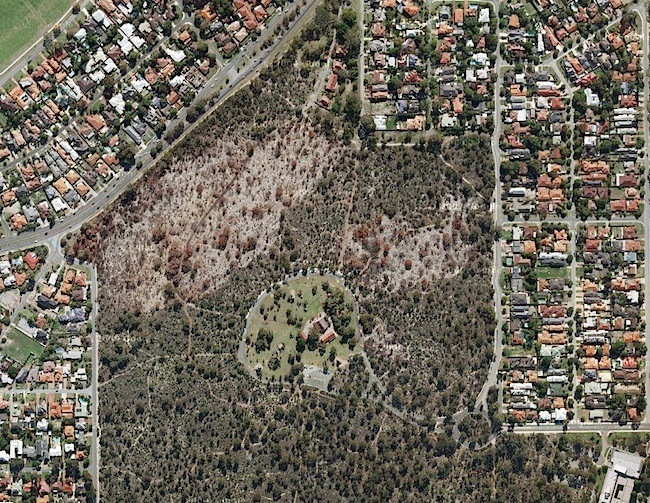 After it was decommissioned in 1967, the site was first transferred from federal to state government ownership, before the land was vested in the City of Melville in August 1969, for the purposes of developing it as an urban bushland reserve. It was named Wireless Hill Park in February 1971. Since this time, various concepts have been put forward for the development of Wireless Hill Park, but the consensus of local residents and the Council has been to retain it as a natural bushland reserve and to promote the site’s rich cultural heritage. 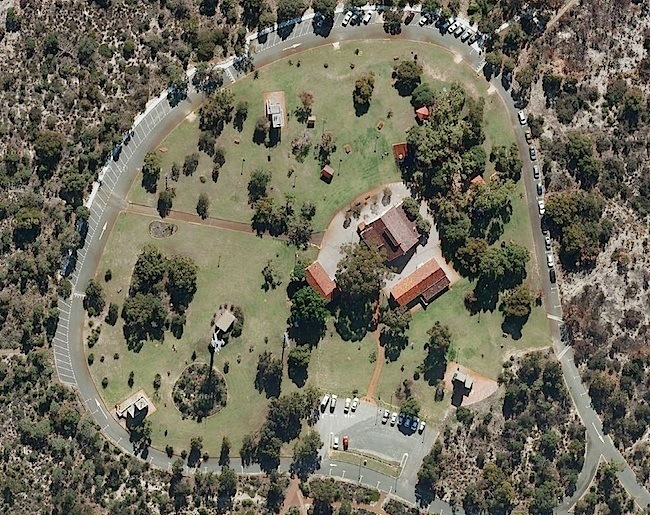 The Harold Holt federal government sold the Applecross Wireless Station land to the state government for $300,000 who then sold it to Melville for three annual moieties of $50,000 (total of $150,000 no interest). 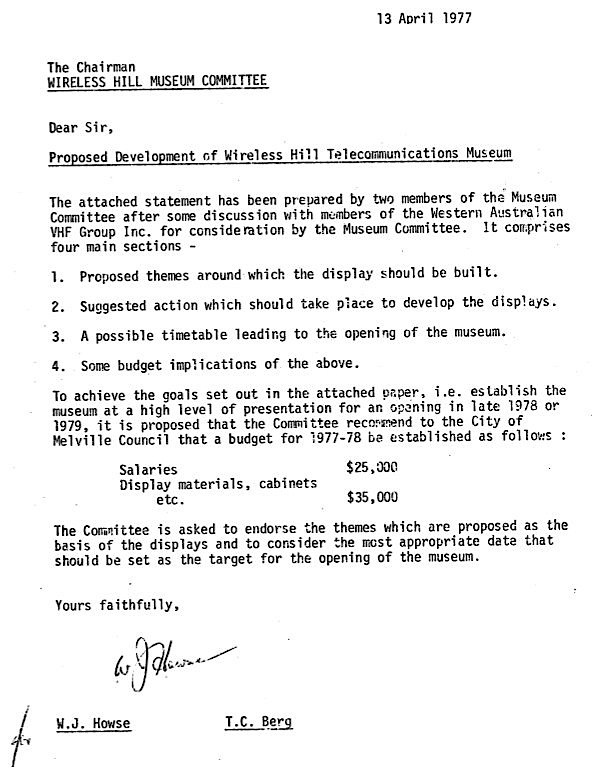 The late Jack Sullivan was a very keen early proponent for establishing a museum at Wireless Hill and had the ear of at least one Councillor of the day. Jack was the first curator of the museum and got the ball rolling with a report he wrote with substantial input from Tom Berg of the West Australian V.H.F. Group. The mayor at the time was Jack Howson OBE JP (from 1973 to 1989) the City’s longest serving Mayor, and as a councillor for eight years before that (1965 to 1973). On his death at age 92, he was one of only four people to be bestowed the honour of freeman of the city, in recognition of his contribution. Mr Howson was well known for getting things done at a critical stage in the development of the City. He had considerable experience with shows, such as the annual Perth Royal Show, organised by the Royal Agricultural Society of Western Australia. 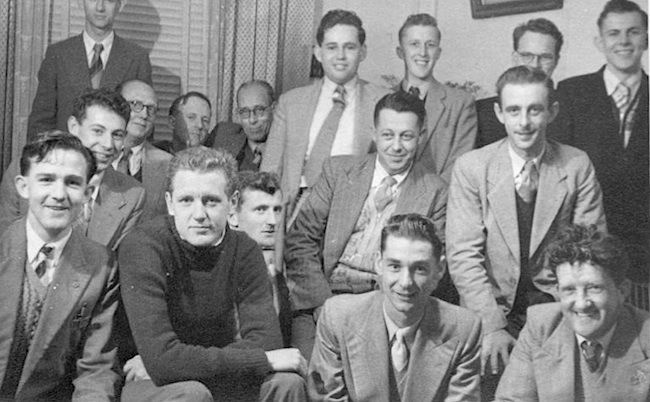 Mr Howson was a member of the 1956 Melbourne Olympic Games and 1962 Perth Commonwealth and Empire Games organising committees, and was team general manager for the 1976 Montreal Olympics. He also held the position of president of Swimming Australia from 1970 to 1973 and was nominated as a life member in 1975. Mr Howson was instrumental in leading the council to approve planning for the original Garden City shopping centre, and attracting the significant investment from Alcoa to build their corporate offices in Booragoon. It was under such leadership that the Wireless Hill Telecommunication Museum came about, meanwhile, others at the workforce made it happen, such as the highly regarded Eric Smith, who did a lot of the physical construction work for the museum. The West Australian V.H.F. Group (Inc.) assisted the Melville City Council in securing the site vacated by the Overseas Telecommunications Commission for use as a public park. 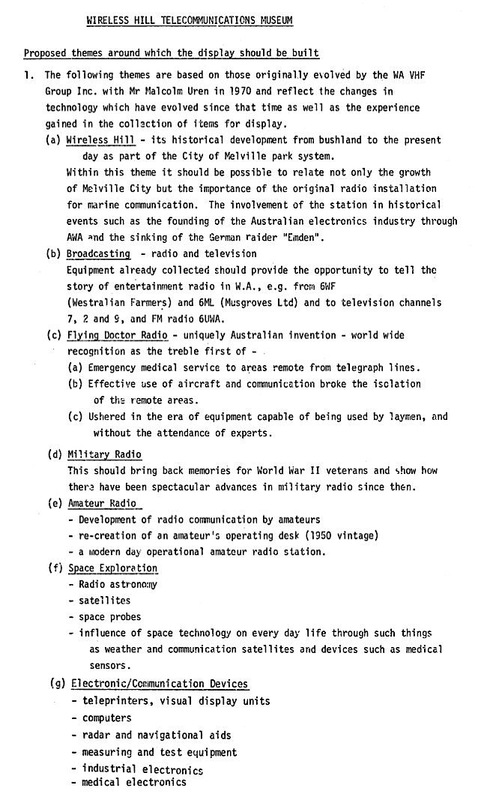 One of the ideas advanced by the Group was the establishment of a Telecommunications Museum. Advice was given in 1977 to the Council on the themes that might form the basis of the museum displays. The V.H.F. Group was instrumental, through its members, in acquiring considerable amounts of equipment to be used in the displays. These were professionally set up by the Council. The West Australian Repeater Group Inc.
Vintage Wireless & Gramophone Club Of W.A. Inc. The Morsecodians Fraternity of WA Inc. The Wireless Hill Telecommunication Museum possessed a unique and wonderful array of heritage equipment which tracked technological advances from the earliest days to more recent times. As a picture is the equivalent to a thousand words, then so was the collection to a person wishing to learn more about how things were done. A excellent way to visually express how far we have come over the last 100 years. 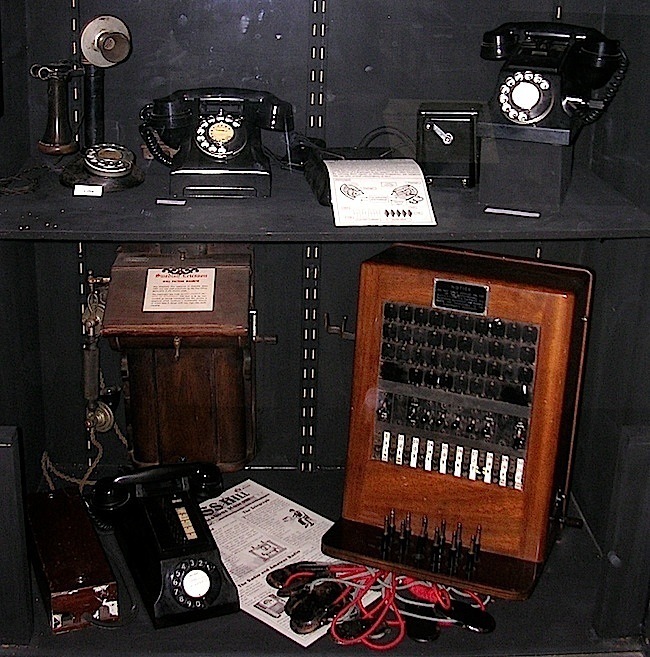 The telephone had an incredible impact on communication in Australia, though constrained by the wires which connected the callers, compared to wireless technology, it made voice contact so much easier for both business and families, without the need for complicated equipment or special knowledge. The myriad of wires caused much visual pollution until the PMG relocated them underground. 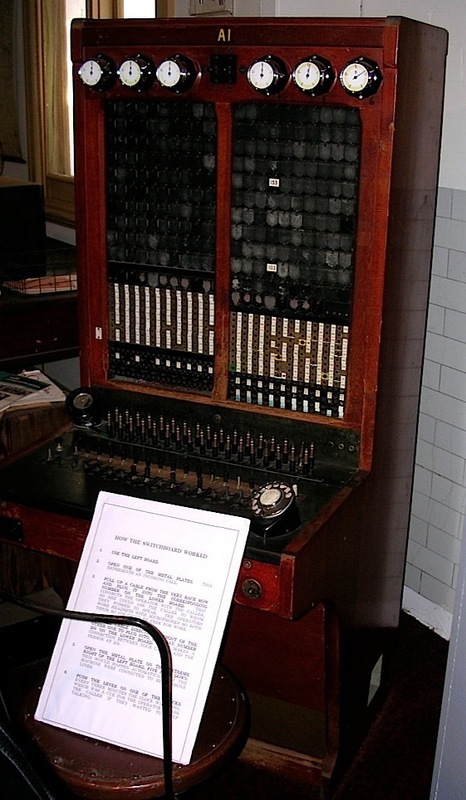 Before the automatic telephone exchange, all switching was conducted manually by an operator. 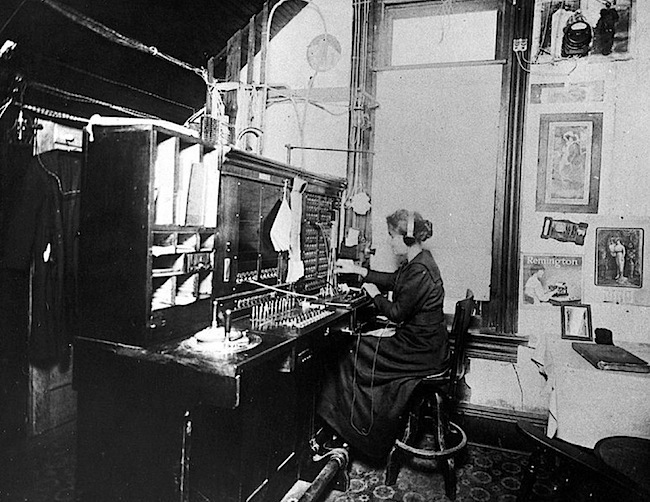 Small towns typically had the switchboard installed in the operator’s home so that she could answer calls on a 24 hour basis. Each jack either served an individual subscriber or represented a trunk line, which was a circuit that connected to another telephone switchboard. Each jack was also associated with a lamp for identification purposes. When a call is received, a jack lamp lit up on the back panel and the operator responded by placing the appropriate cord into the jack and operating a key to speak to the caller. On establishing the desired destination, a connection would then be made allowing both parties to speak to each other. Public manual exchanges disappeared during the last half of the 20th century, leaving a few private branch exchanges (PBX) working in offices and hotels as manual branch exchanges. Later, with the advent of multi-frequency operator dialling, the operator would plug into a tandem trunk line and dial the area code and operator code for the information operator in the distant city. If the customer knew the number, and the point was direct dial-able, the operator could dial the call. If the distant city did not have dial-able numbers, the operator would dial the code for the inward operator, and ask her to ring the number. Multi-frequency signaling (MF) is an outdated technique where the operators used signals to indicate various stages in the connection process. “When first introduced in the form of a wooden hand-telephone, the instrument could not be used with any beneficial result. It was more a pretty scientific toy, which exercised the imagination almost as much as the ear. It is now, however, and has been for some time, a reliable and practical instrument especially when from the hands of Manufacturers of Reputation …its success is unparalleled”. By 1901, when the six Australian States decided to federate, there were 32,767 telephones in use. This grew to 100,000 telephones in use by 1911. 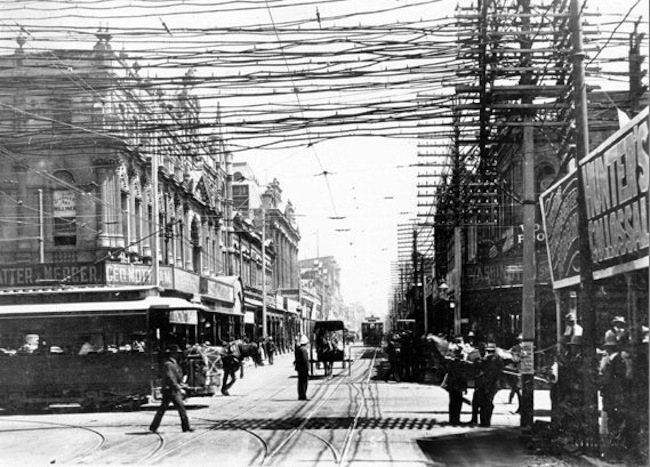 In 1907, the first inter-capital telephone trunk line was opened between Sydney and Mel bourne. It was followed by a line between Melbourne and Adelaide in 1914. Sydney and Brisbane were linked in 1923, and Perth and Adelaide in 1930. In 1930, the first overseas calls from Australia became possible with the introduction of a radio telephone service to England, and through there to Europe and America. A similar service opened to New Zealand in the same year. In 1953, the number of telephones in use in Australia passed the one million mark. It was fortunate that the Wireless Hill Telecommunications Museum enabled the younger generations the opportunity to view facilities that have long since disappeared.